Never a dull moment in the bee world !! The news in the UK yesterday was all about bee populations and pesticides – an EU directive I think. Then some expert BEE professor on Chris Evans talking about Bees too – he had just returned from USA where there are also considering looking into banning certain pesticides. 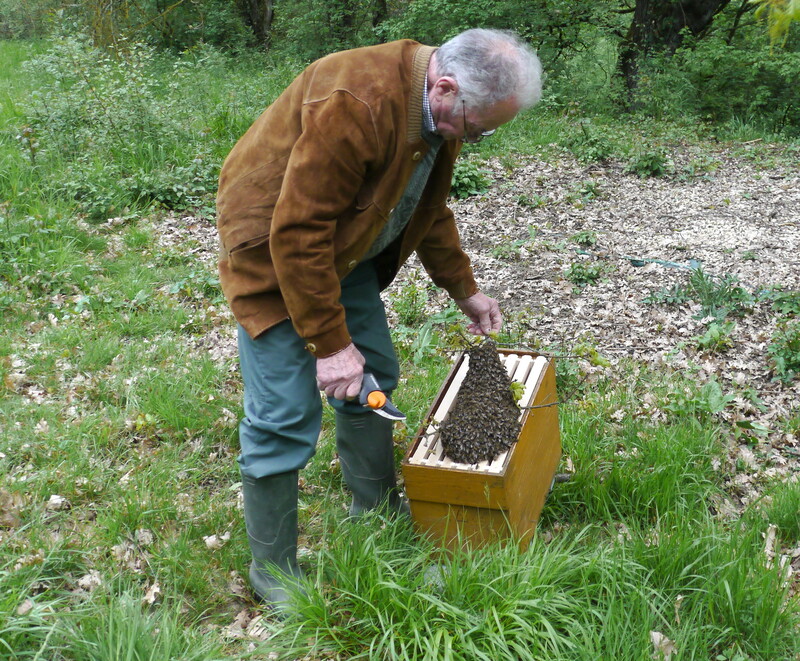 You are therefore at the forefront of keeping Bees safe and productive – look forward to another tasting! When the news is all about declining bee populations, it must be Really Good News that we suddenly have almost more than we can handle, and the colony is doing so well that it needs to split. So you are also helping the homeless as well! It must have been quite exciting catching your first swarm. Have you decided how many hives you would want to keep? It was very exciting. 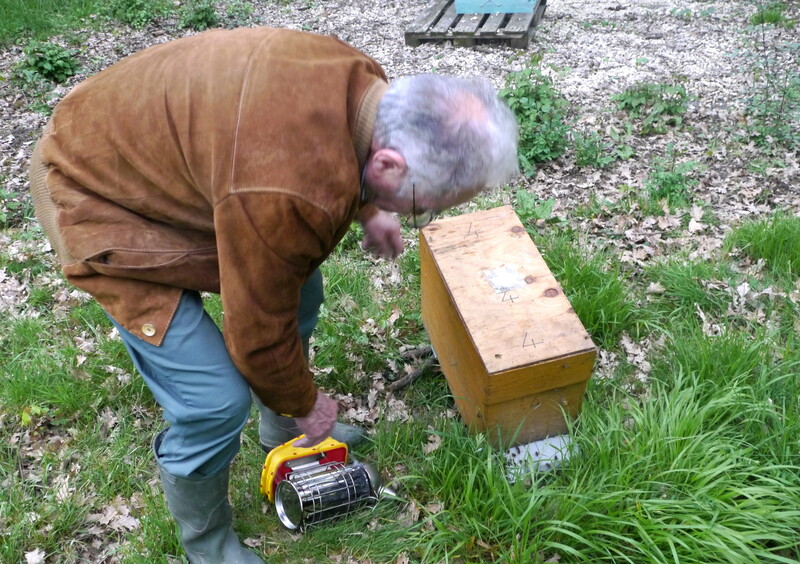 We only ever intended to have the one hive – just so that we were self-sufficient in honey, plus there’s still alot to learn (especially about swarm management evidently), so there was never any intention to expand. 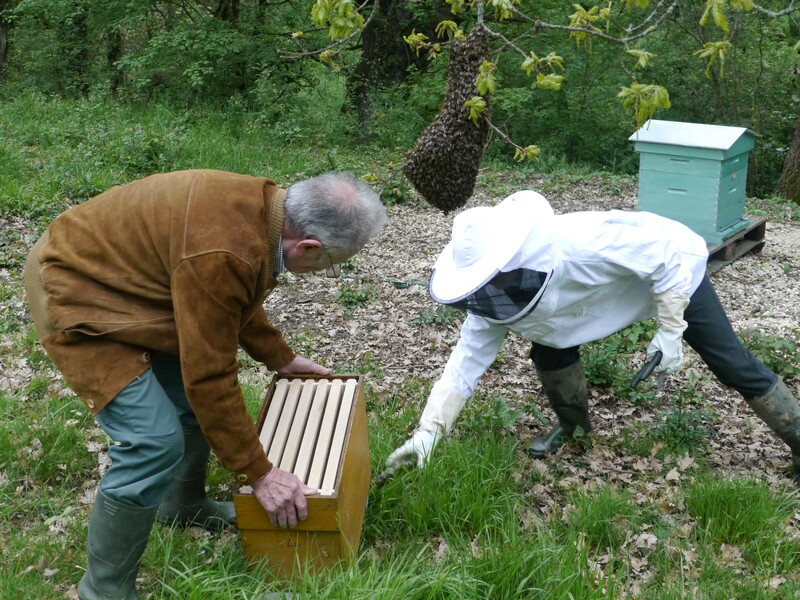 Cost wise, we have already invested in the clothing, tools and extraction kit – so adding a new hive won’t amount to too much, we have the space, and the bees are free – so we are happy to be adding this second hive. Queen Beeatrix looks like a very clever lady (or, rather, she has clever attendants) landing in such a nice little spot so you could capture her retinue and take good care of them. That swarm is very similar in size to the swarm from my hive this year. I have to say it didn’t grow in leaps and bound but we only fed it honey frames, not sugar water for the first 2 months (probably a mistake). We’ve requeened our swarm and hope it becomes an honest-to-goodness colony soon. 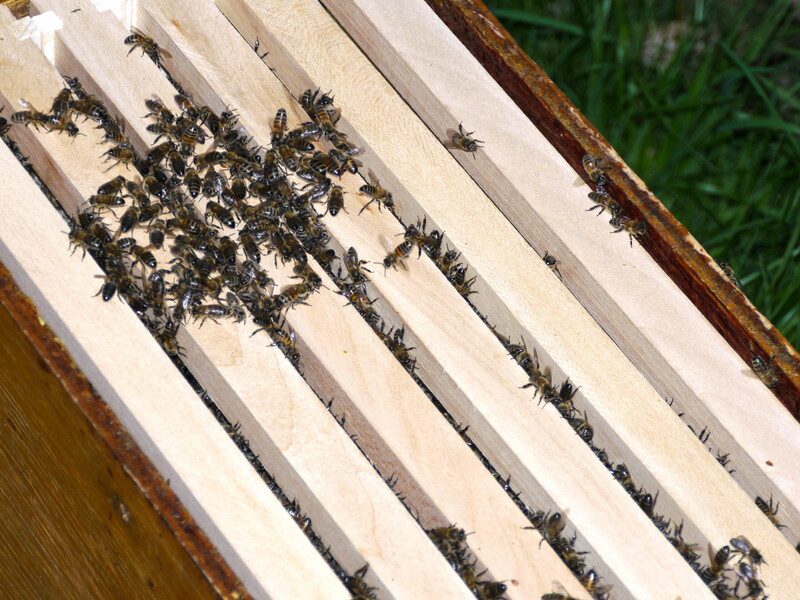 The timing of your swarm looks good, fingers crossed a good flow comes on and those bees draw comb like mad. I’ll be watching to see the progress of Beeatrix Sr and Jr in the coming weeks. It was a very convenient location (luckily), in terms of being in easy reach and removable all in one go. 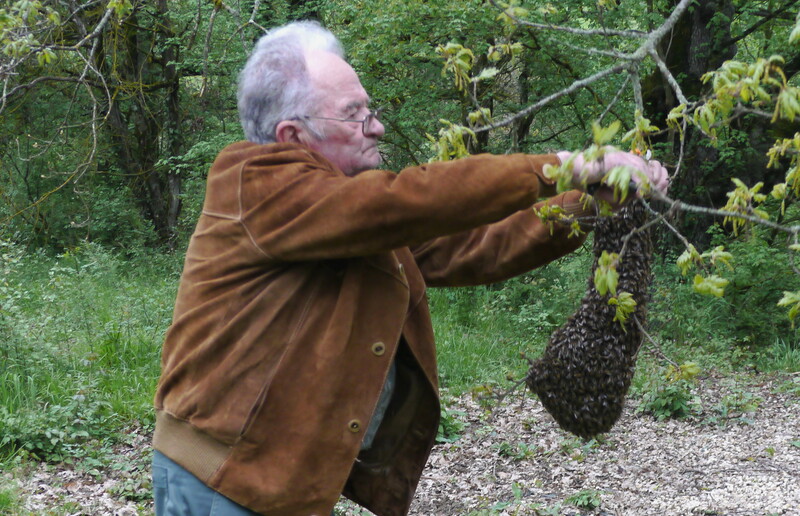 Our ‘Master’ has sent me images of swarms that he has attended recently – much bigger, wrapped in and around trees, high off the ground – a nightmare. 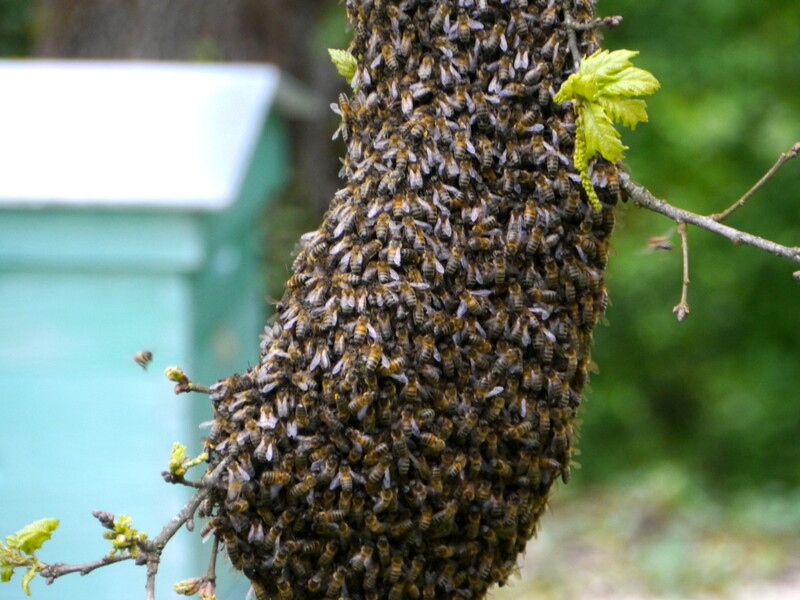 They say that swarms taken in May and June are well worth having – we shall see! 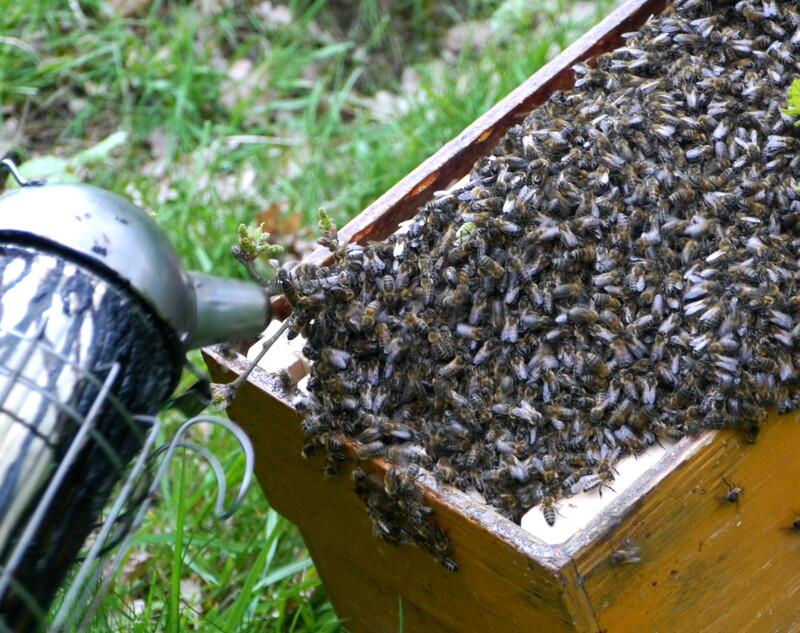 In England we call those small nursery hives a ‘nucleus’ (or ‘nuc’ for short). Ruchette sounds prettier though. Thanks – I was rather hoping that you would educate me on that.